First of all, congratulations! Finishing university is a big milestone and a fantastic achievement. It is an exciting time; you may be eager to get out there and make your mark on the world, and excited about the multitude of options open to you. However, once the relief of finishing finals is out of the way, it can also be a daunting and stressful time, particularly if you do not yet have a job, or other plans, lined up. We are here to help you all the way with your next steps; whether you’ve not yet decided, if you’re looking for a job or if you are interested in further study, starting your own business, or possibly taking some time out. 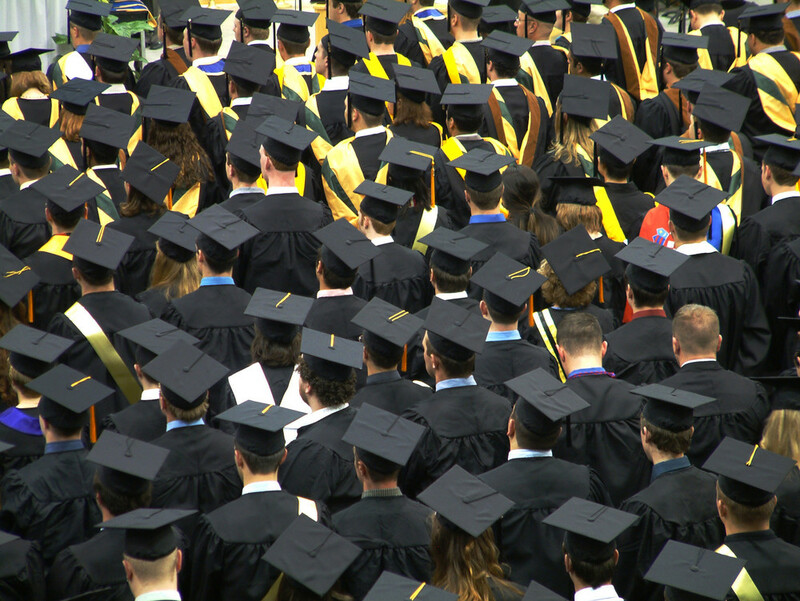 If you’re looking for a graduate job, you’ve come to the right place: In this 2-part post, I will be outlining some simple steps to help you land a great graduate job. Stepping out of the university bubble and trying to find a job can feel overwhelming and be extremely stressful. The inevitable “What are you going to do with your life?” questions, doom and gloom about the jobs market, and feeling that you are the only one without a job or some sort of plan lined up (I can guarantee you are not alone!) creates a lot of pressure. However, it doesn’t need to be this way. The most useful thing you can do to help yourself is to do something; panicking can be crippling and will reduce your productivity and efficiency in securing a job. So if you are panicking, take a deep breath and read on. The simple steps outlined in these posts will help get you on your way. If you were considering recruiting someone, are you going to choose the person who can clearly explain their interest in the company, job and sector or someone who is “just trying things out”. You need to be able to make a convincing argument. More on how you can do this in part 2 later this week. There is a lot of doom and gloom in the media about the jobs market, particularly for young people. There is no doubt that these are challenging times, however there are still plenty of jobs out there. A quick search on our vacancy system just now resulted in 574 graduate jobs starting this summer/ autumn. A sense of direction is important, but don’t restrict yourself by getting too tunnel-visioned about your preferences. Reaching your ideal goal is often best achieved by taking a series of small steps. Be open to opportunities as they arise and be willing to take a chance. Similarly, being flexible as regards to location, type of employer, specifics of the job, and so on, will help. Taking what might be less-than-ideal opportunities in the short-term is a great way to develop skills, contacts and experience which can lead on to bigger and better things in the long-term. Graduate internships can be a great way to test out some ideas or interests whilst further enhancing your CV. We will shortly be advertising local opportunities through the Leeds Graduate Internship Programme. If you’re looking elsewhere in the UK, AGCAS has a list of some other regional graduate internship & vacancy sites. Most people turn to job sites when looking for work. You can (relatively) easily find numerous suitable vacancies, as will 90% of the population looking for the same type of role as you, a.k.a. your competition. So, only looking for advertised opportunities (particularly on graduate-only job sites) automatically increases your competition and the number of other graduate likely to be applying for those roles. If you are genuinely interested in an opportunity and feel you meet the criteria by all means apply. Increased competition does not automatically mean you won’t be successful. However, don’t make the mistake of only using this method of job-searching. Most jobs are not widely advertised, if at all. People get jobs from recommendations within their network, internal promotions, via agencies, from making speculative approaches and in all sorts of other ways. Using a variety of different methods in your job search will increase your chances of success. We have a whole section on the range of ways you can approach your job-search on our website. This is where having some sort of career direction really pays off. It will enable you to conduct sufficient research into the sector of interest to get a clear overview of the industry, employment trends, where your skills might be valuable as well as to research potential employers in depth. Look out for part 2 tomorrow when I’ll be looking in more detail about how you can research career areas, how you can use this research to make a convincing case as an applicant and how you can get structure in your job search. In the meantime, if you’ve got any other tips or suggestions, please include them below. Great advice. GRB always advise graduates to research before applying for jobs and target tailored CVs to employers. Ready, Aim, Fire is what we say!. Thanks Dan, I love the’ready, aim, fire’ idea – great advice and easy to remember.